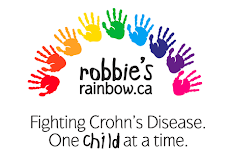 The Gutsy Generation is an initiative by the Crohn's and Colitis Foundation of Canada's (CCFC) Youth Advisory Council (YAC) to foster awareness, support and action about Inflammatory Bowel Disease (IBD). IBD is a chronic autoimmune disease, affecting about 233,000 Canadians - with many diagnosed between 15-24 years of age - and costing the Canadian economy almost $3 billion annually. It's time to speak out and get up - coming out of the bathroom stall to find a cure! When I was diagnosed with Crohn’s, the words meant nothing to me. The word ‘Crohn’s’ seemed as harmless as the word ‘banana’ and I didn’t think it would make a different in my life. It didn’t matter to me until I was sitting in a room full of doctors telling me that I was chronically ill and offering treatments that scared me to my core. I can remember my twelve year old self trembling, my parents reached for my hands, but instead, I stood up - full of fury and fear and confusion - and turned and left the room. And as soon as the door clicked close behind me, it was like it had never happened, like I could just run away where no one would find me and I would never have Crohn’s. Years later, I sat in a hospital bed crying as my GI laid out new treatment plans that I disagreed with. Trembling again, this time all of 16, I cleared my throat and ordered him to leave my door. It took several times of me repeating myself before he obeyed, but I wanted him out. I wanted him to go away, my disease to go away, my life to be the way I wanted. They say that when we are attacked by something - be it a bear or an illness - there’s a flight or fight response, to run like the wind or to stay and fight. I am not an escape artist much to my disappointment, and couldn’t flee the pain and disease raging inside of me, and had no choice but to stay and fight. The fighting is tiring and forced, it’s not a battle I signed up for, I was thrown into a war with a thousand people with swords running at me while I merely had a toothpick to disarm them with. But living with IBD is as much about living as it is about fighting. A few days ago, I took my dog to the park to run around after dinner. There was no one around, just me and him, and he chased the ball around the field as the sun set and the sky grew grey and freckled with pink. I sat down and closed my eyes, wanting the world to stay exactly how it was, whole and mysterious and beautiful, as if I were exactly where I was supposed to be. A very dear friend recently said “you have a right to live a beautiful life.” It seemed so obvious, and yet, completely novel and revolutionary. It’s not only something that I should have, it’s my right to have a fully amazing and fulfilling and beautiful life. Yes, I may have Crohn’s and I may have an ostomy, but I’m damn well going to have a beautiful life to go with it. And so I challenge you too to live a beautiful life. Stand and fight for your life, live it, love it, and it will be most beautiful one you could have ever imagined. Lesley - I am 24 years old and have been living with ulcerative colitis since I was 18. I live just outside St. John's, Newfoundland. I am passionate about travel, raising public awareness of IBD, and reaching out to newly diagnosed youth. Jennie - Diagnosed after my 12th birthday with Crohn's Disease, I have spent the past nine years dedicated to raising awareness about IBD. I have been on the YAC since 2007. My career goal is to be a pediatric psychologist for chronically ill children. Taylor - Diagnosed with Ulcerative Colitis at 19, I am now 21 and living with a J-Pouch. This is my first year on the YAC and I am eager to raise awareness and make a difference in the IBD community. I just finished my B.A. and am now working towards my B.Ed. As a future educator I hope to focus on international and special needs education. John Vella's (Bodybuilder) Inspiring Story! Exploring New Horizons... TOPIC 1: Probiotics? 5, 4, 3, 2, 1 - Happy 2013! Will the Real Jennie Please Stand Up?